Embarking on a season of celebration in honor of the greatest teammate to ever wear the Red and Gold, the San Francisco 49ers announced plans to honor Edward J. DeBartolo Sr. 49ers Hall of Famer Dwight Clark, who passed away in June, during a celebration of his life. 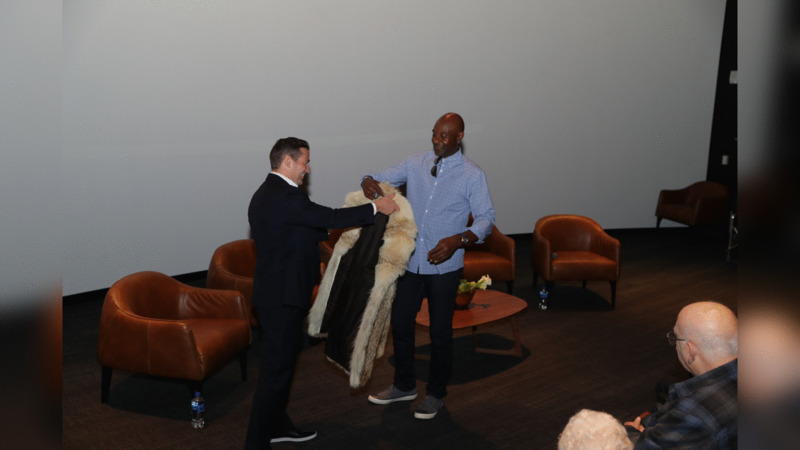 Following a private screening of NBC Sports Bay Area’s “Letters to 87” at the 49ers Museum for Clark’s former teammates, family and those who wrote to him in recent months, 49ers President Al Guido revealed the team’s plans to pay tribute to Clark’s legacy throughout the 2018 season. The game will be highlighted by the unveiling of statues depicting “The Catch” outside of Levi’s® Stadium. The 350-pound statues of Dwight Clark and Joe Montana will be placed exactly 23 yards apart, just as the two 49ers were during the famous play. The representation of Clark, with his hands outstretched, will extend 11 feet in the air. During the game, the playing field will feature an “87” marking in the north end zone commemorating the location of “The Catch”. The contest will also serve as the 49ers annual Alumni Game and, therefore, funds will be raised throughout the weekend to support Clark’s charity of choice, the Golden Heart Fund. The fund was established in 2016 to support 49ers alumni in need of financial, medical, psychological or emotional support. All 49ers proceeds from the season-long sale of Dwight Clark Day t-shirts and Dwight Clark merchandise currently in-stock at the 49ers Team Store at Levi’s Stadium and at Shop49ers.com/DC87 will be donated to the Golden Heart Fund. These season-long tributes to Clark follow “Dwight Clark Day,” which took place at Levi’s Stadium on Sunday, October 22nd, 2017, when the 49ers hosted the Dallas Cowboys. Highlighted by a special halftime event which featured a courageous address by Clark to his teammates and coaches, 49ers family, and the Faithful, the day celebrated his many contributions to the organization as a player (1979-87), front office executive (1989-98), and 49ers Hall of Fame consultant.